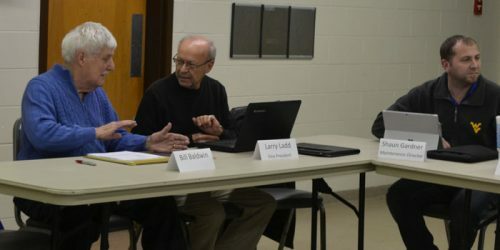 Pictured, left to right, Bill Baldwin, Larry Ladd and Shaun Gardner. WARSAW — Bill Baldwin and Steve Haines were duly sworn in and thanked for their many years of service at the Warsaw Parks and Recreation Department meeting Tuesday, Jan. 17. The board held an election of 2017 officers. Motion was made for Steve Haines to continue on as president of the board. Motion was made for Larry Ladd to continue on as vice president of the board. Both motions were approved, with Haines and Ladd accepting their respective positions. Sheila Wieringa, recreation director, gave an activities report regarding planned events for 2017. Wieringa stated that she applied for three grants and has received notification that they have been approved for two of those grants, including a Kosciusko REMC grant for $1,500. Wieringa also discussed some changes, including introduction of a five week bowling tour and Wildlife Explorer Camp, which are tentatively being planned for June and July. 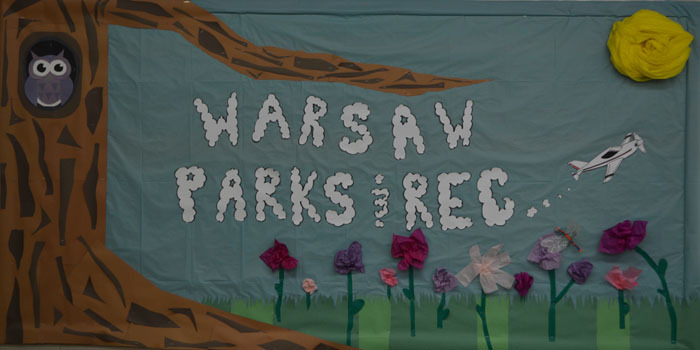 Recent events offered by the Parks and Recreation Department have been met with a positive response. She informed the board members that tickets to the 2017 Daddy’s Little Sweetheart Dance, which will be held Feb. 10, sold out in less than four days. Wieringa submitted a 2017 program and fee structure plan and asked that the board approve the plan with some flexibility. Board members approved the program and fee structure plan with the flexibility that Wieringa requested. Motion was made by Larry Plummer, superintendent, to renew the annual KCCAA lease agreement as is for the 2017 year. Motion was approved. Shaun Gardner, maintenance director, stated that all Christmas lights have been taken down and are in storage. He informed board members that he and his crew are in the process of refurbishing all park picnic tables, approximately 300 large tables and 150 small tables. Baldwin thanked Gardner and his crew for the “absolutely fantastic job” they do, especially with the Christmas lights. The five-year master plan draft is under DNR review at this time. The condition of trees in Beyer Park was discussed. The next regular meeting will be held at 5:15 on Tuesday, Feb. 21st at the Pete Thorn Youth Center on Park Avenue.